This is a very flavourful marijuana strain with very high levels of THC at 24.7%. 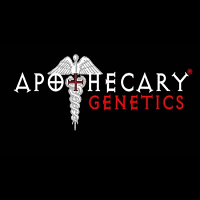 CBD levels are around 0.47%. 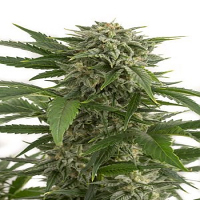 Candy Glue Feminized Cannabis Seeds by Lineage Genetics Seeds: Candy Glue Feminised is a particularly special high THC cannabis strain whose genetics are 60% sativa. 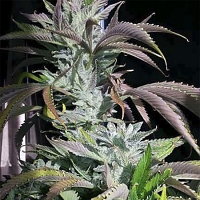 Cady Glue was bred from an S1 pheno-type of Gorilla Glue #4 x Zkittlez (from Green Fire Genetics) which was subsequently crossed with Lineage Genetics' own Girl Scout Cookies. Its trichome production is off the scale for those into making cannabis concentrates and extracts. 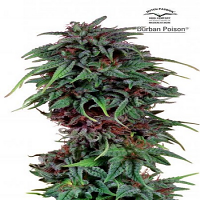 Candy Glue is a high-yielding plant that grows indoors as well as outdoors. 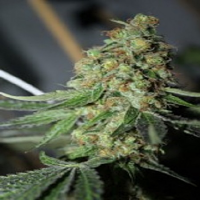 Indoor growers should harvest between 500 - 600gr/m2 in a tad more than 8 weeks of florescence. Outdoor growers in the northern hemisphere can expect to get 700gr/plant or more with mid-September harvests. 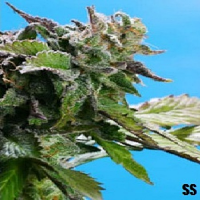 This is a very flavourful marijuana strain with very high levels of THC at 24.7%. CBD levels are around 0.47%. As a result the effect is very potent indeed and it is recommended for use during the evening and at night as if consumed during the day you may have to cancel any plans you might have!